Award winning essayist Scott Russell Sanders once compared the art of essay writing to "the pursuit of mental rabbits"—a rambling through thickets of thought in search of some brief glimmer of fuzzy truth. While some people persist in the belief that essays are stuffy and antiquated, the truth is that the personal essay is an ever-changing creative medium that provides an ideal vehicle for satisfying the human urge to document truths as we experience them and share them with others—to capture a bit of life on paper. 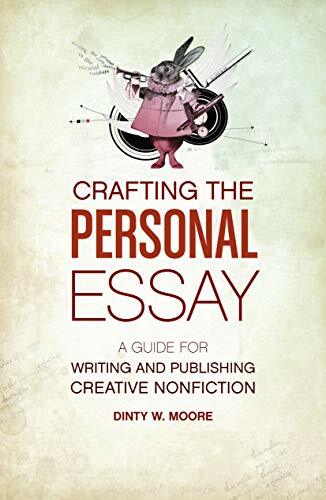 Brimming with helpful examples, exercises, and sample essays, this indispensable guide will help your personal essays transcend the merely private to become powerfully universal. Dinty W. Moore earned a BA in writing from the University of Pittsburgh, worked briefly as a journalist, and also served short stints as a documentary filmmaker, modern dance performer, zookeeper, and Greenwich Village waiter. It was only after failing at each of these professions that he went on to earn an MFA in fiction writing from Louisiana State University. He has guest taught creative nonfiction seminars across the United States and in Europe. In addition to editing the internet journal, Brevity (www.brevitymag.com), he is on the editorial board of Creative Nonfiction and is coordinating editor for the annual anthology Best Creative Nonfiction (W.W. Norton). Moore teaches writing at Ohio University and serves on the Board of Directors of The Association of Writers & Writing Programs.